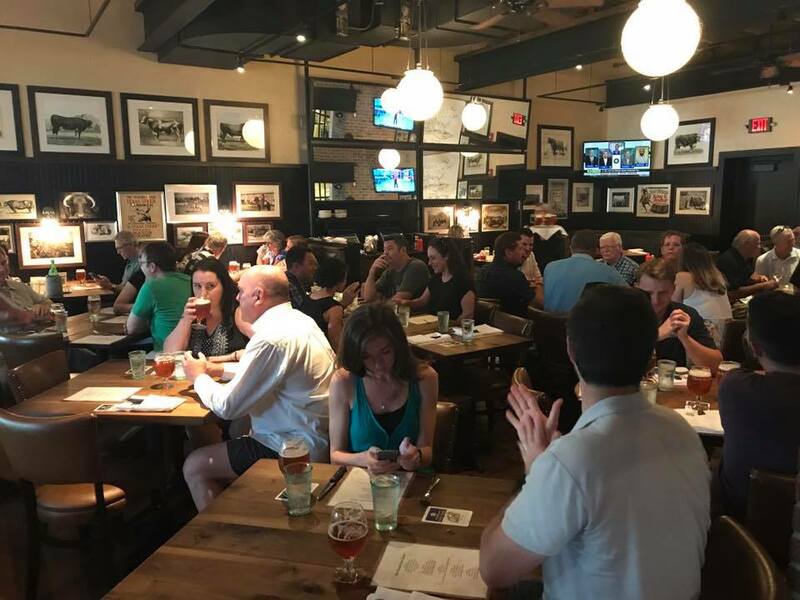 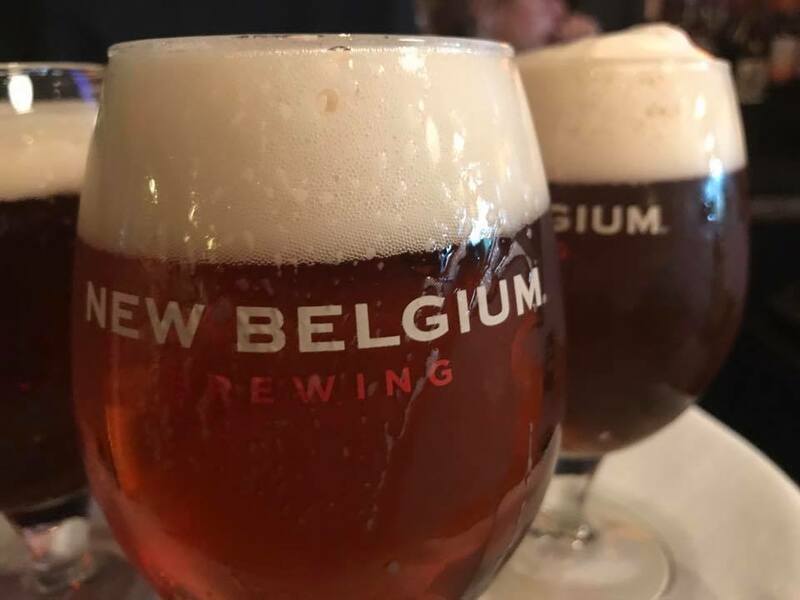 On Monday July 17, 2017 Max Burger Longmeadow hosted the New Belgium Beer Dinner festival. 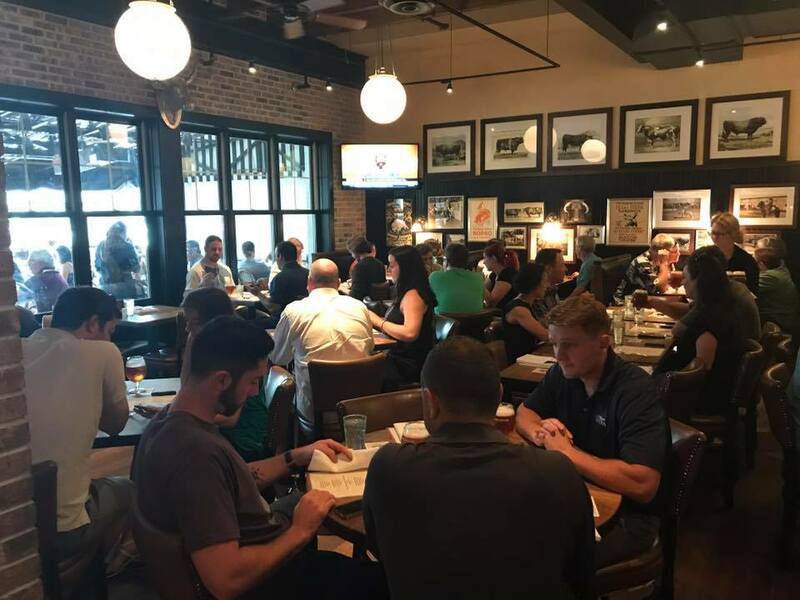 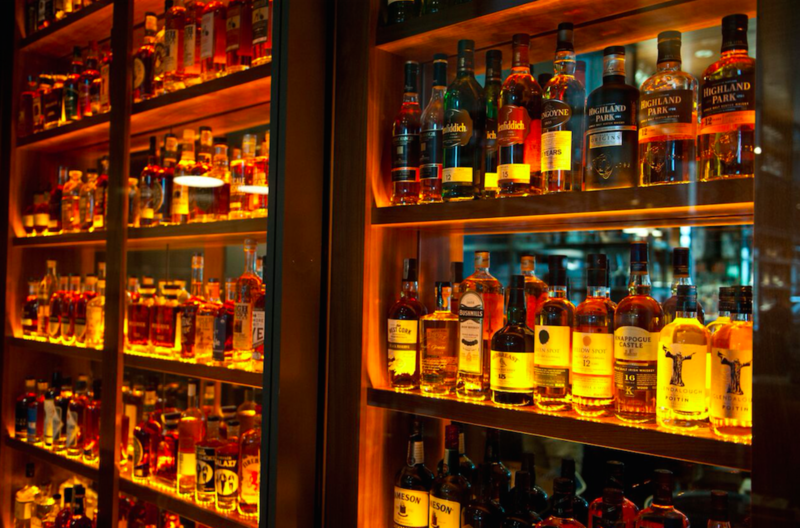 The beer dinner featured a four course meal featuring the creations of Chef Brett Cook. 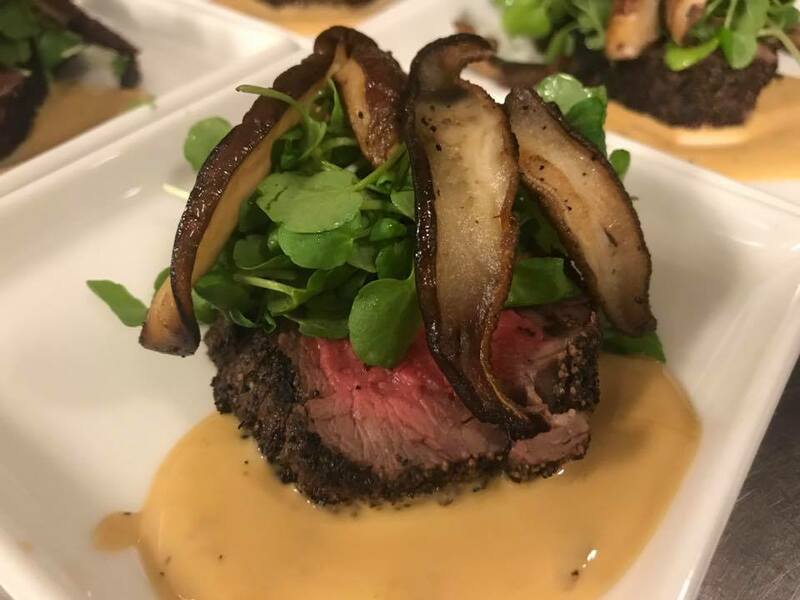 The first course featured Chef Brett’s “Steak Diana” served with Pepper Crusted Tenderloin, Mushroom & Watercress Salad and Cognac Cream Sauce. 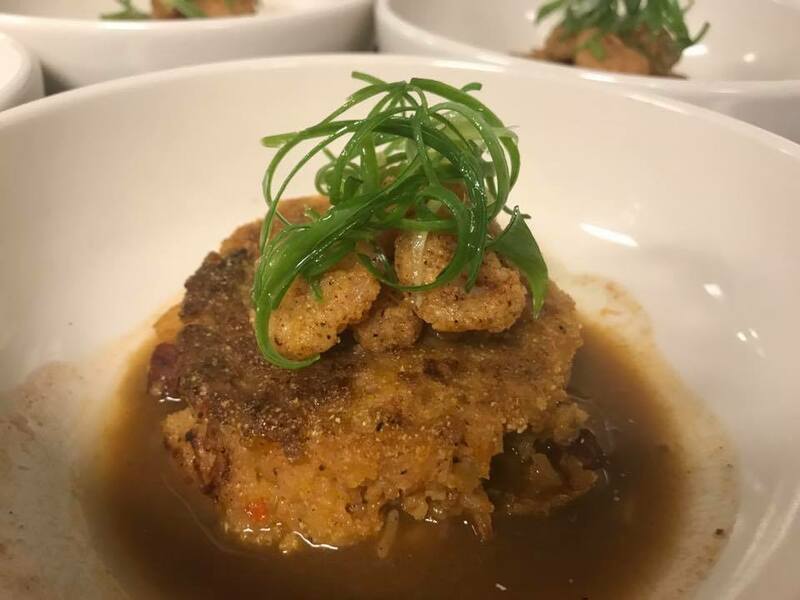 The second course featured a Deconstructed Jambalaya served with Andouille Sausage Rice Cake, Fried Rock Shrimp and Cajun Broth. 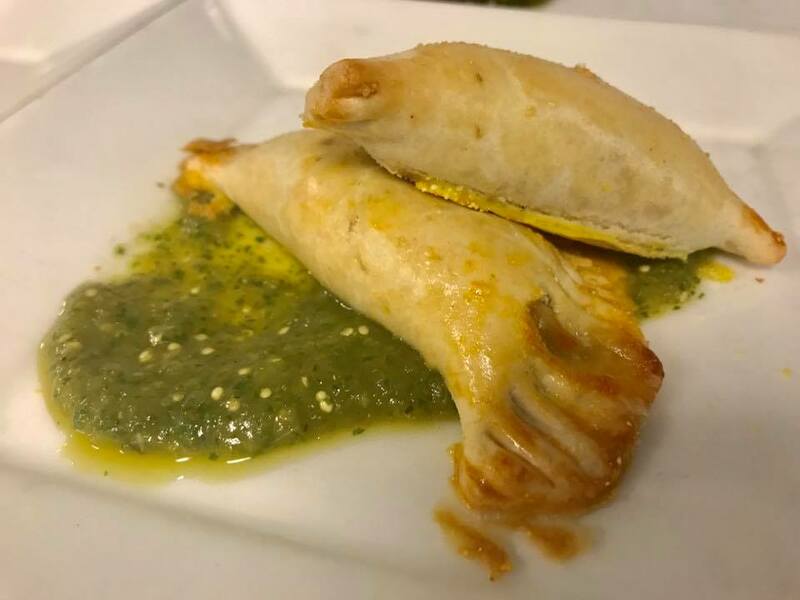 The third course featured Short Rib Empanadas served with salsa verde. 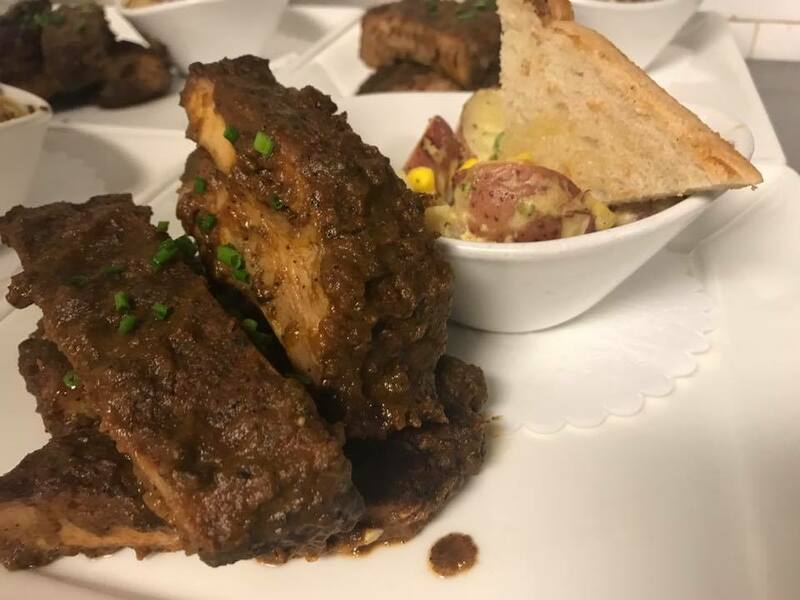 The fourth course featured Pecan Smoked Pork Ribs served with Golden Carolina BBQ sauce and a Warm Potato Salad.